This recipe will serve 4 to 6 people. So if you have hungry boys, I would double it. It is medium thick and very filling to the tummy. 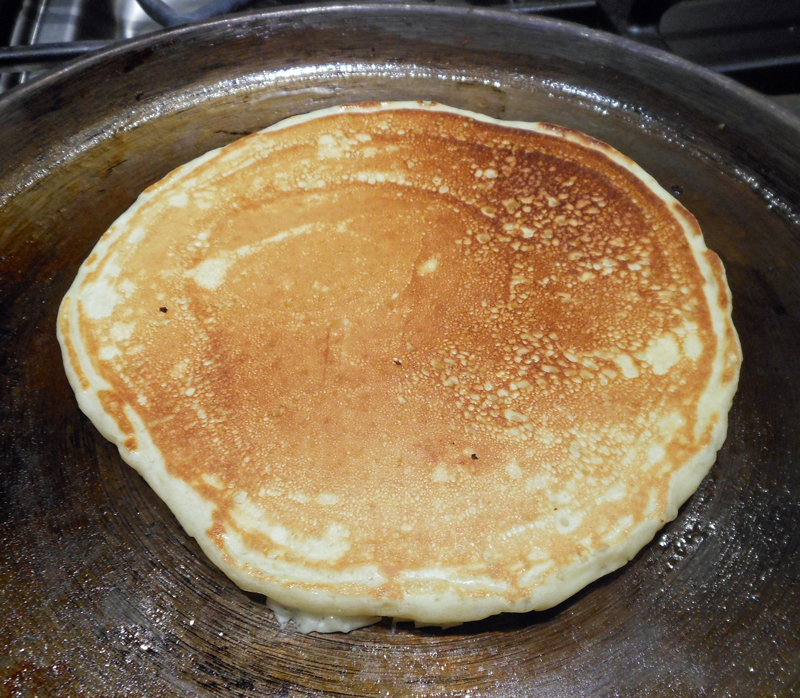 If you like a thinner pancake, just add a little milk to get your desired thickness. Whisk flour, sugar, baking powder, baking soda and salt in a medium bowl to combine. Whisk egg and butter into buttermilk until combined. Make a well in center of dry ingredients and pour in the milk mixture. Whisk very gently until just combined (a few lumps should remain). Do not overmix. Heat a large nonstick skillet over medium heat until hot, brush a little oil on skillet to coat bottom evenly. Pour in 1/4 to 1/2 cup of batter (whatever your desired size) and cook until large bubbles appear. Using a thin, wide spatula, flip pancakes and cook until golden brown. Repeat with remaining oil and batter. Serve immediately or keep warm in a 200 degree oven on a baking sheet. Makes about 16 4-inch pancakes. Note: Try adding a few blueberries to pancakes before you flip it. Or maybe some chopped pecans, or maybe some diced banana.